Today I have been playing with my ink and some bubble wrap! 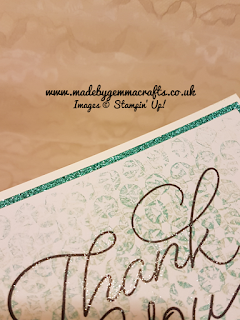 Its amazing how many everyday items can be used in our cardmaking to add interest and texture. I love to experiment and this is what I came up with. 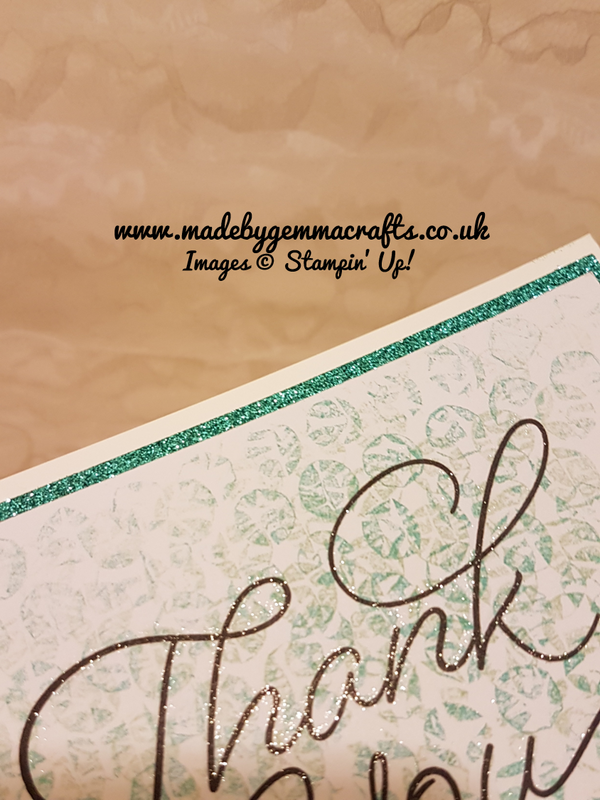 I have used Bermuda Bay and Mint Macaron for my card along with some of the glimmer paper in Bermuda Bay. 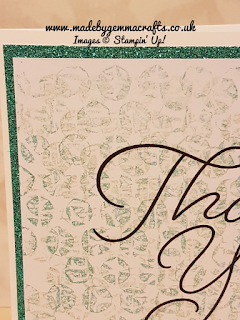 To finish my card I used the clear wink of stella pen to go over the lettering. I think this finishes the card off and ties it all together. The stamp set I used is So Very Much which is in the Sale-A-Bration catalogue. There are only a few days to go of Sale-A-Bration so make sure you don't miss out on getting your free products! 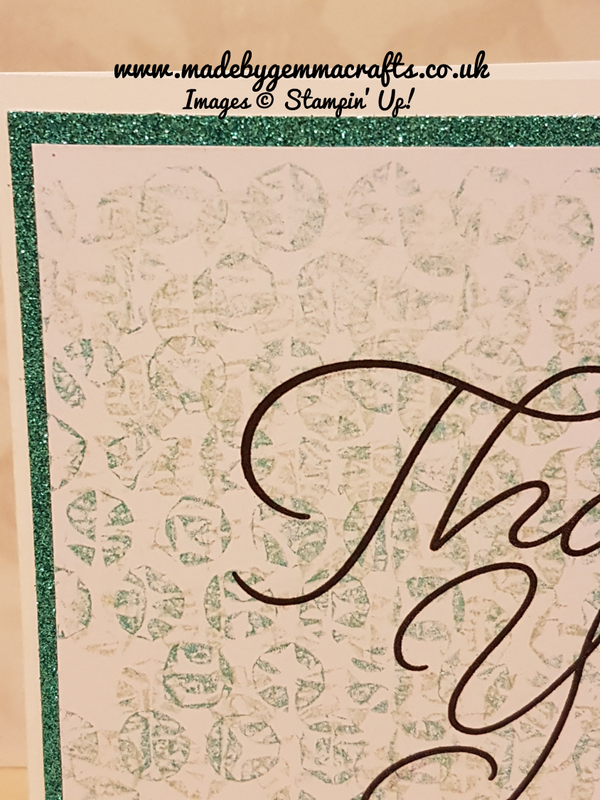 To make your card you will need a piece of bubble wrap. some ink and sponge brayers to apply the ink to the bubble wrap.